Carte-de-visite portrait of Lucius Fairchild in his uniform as lieutenant colonel of the 2nd Wisconsin Infantry by the Brady studio. 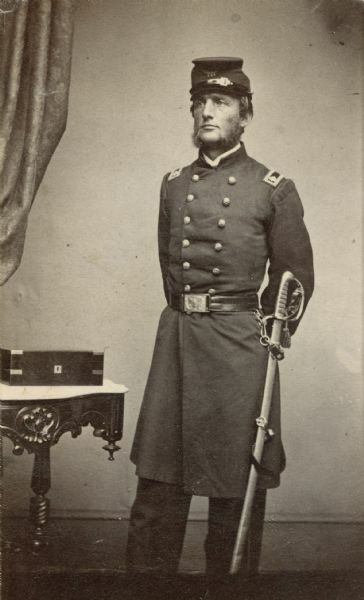 Although undated, this picture was taken before his promotion to colonel which took place on November 17, 1862 (post dated to September 1, 1862). Fairchild was severely wounded at the Battle of Gettysburg and his left arm was amputated as a result.